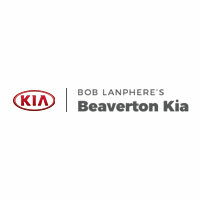 Located in historic Downtown Beaverton, Beaverton Kia is Oregon’s original Kia dealership! We know today’s car buyers are looking for a more simple, straight-forward sales process that doesn’t take too much time or effort. That’s why we post our best price in the window of every new and used vehicle so you don’t have to talk to multiple people just to get simple information. Our service department is ready to repair anything your Kia vehicle (or other make) needs! We’ve got a comfortable lounge area with TV, free Wifi, and fresh-baked cookies daily. Stop by our parts counter and grab whatever accessories you need to jazz up your Kia vehicle! As a member of the Lanphere Auto Group family of dealerships, we are still family-owned and operated, and honored to have served the Beaverton community and beyond, for over 50 years.